Exabytes keeps running the special promotion on .COM domain name, just $4.99. .COM domain is now staying at about $6.90 a year at Exabytes. But using the codes above to register, you will have to pay only $4.99/year each domain, save $1.91 for more. Promo price is for the first year, renew will be at $13.90/year. Limit 1 domain per account each code. At the moment, Exabytes does not offer free domain privacy service, if you wanna hide your personal information, you will have to pay $2.9/year. I’v just updated a new coupon code for April! Is this only for 1 year? Yes it’s. It’s a $2.91 USD One Time Discount Coupon. Hello dear I need buy domain from exabyte.com… But This all coupon is expired. Can you please give me active coupon code? and also pls update that code in this post? Dear when this offer will closed? DEC12DOTCOM is the newest code, you can use it to register one cheap .COM. The code will expired soon I think. It’s on 12-12 sale of Exabytes. Christmas is coming and one another code will be released. You can contact with support and telling them to register for you using code. Thanks! Now that it’s back, it works great! The offer is now back ON. LuckyRegister, FXDomains, Godaddy, PowerHoster are suspending domain names. Did you try to contact support? What did they say? Recently I was contacted with them. They said, I’m doing spam with that domains. But I haven’t……. Alas! You can transfer your dot com domain at lcn dot com just for $6.50. do u have com and net trasnfer coupon? I will buy 3 domain! Anyone need .NET new registration promotion? 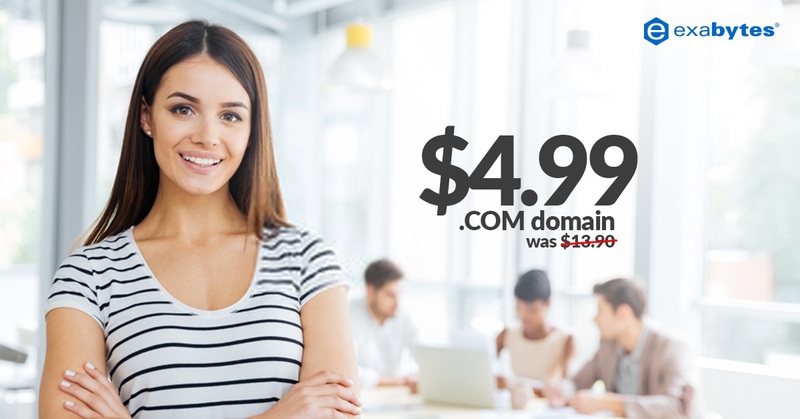 We’re providing .NET domain for $5.95. There is no limit. Go to https://backyard.prequent.net/cart.php?a=add&domain=register&promocode=QLL97AH4LN and order your domain name. We can provide .NET transfer including whois privacy for $7.95. I’ve just updated new working one for this month. Enjoy! Do you have .co and .me register coupon?